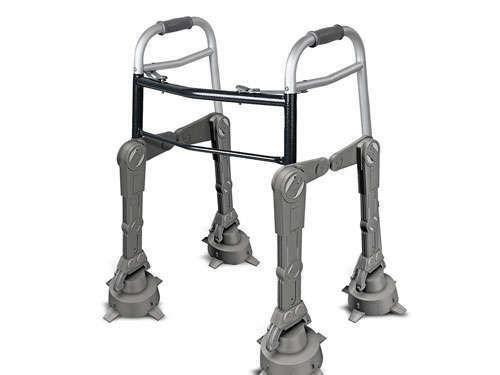 Star Wars merchandise is, to put it politely, a robust category. Over the years, we've seen Jar Jar Binks Pepsi, a real AT-AT walker, and a C-3PO tape dispenser. But the rarest piece of Star Wars merchandise of all is something that no one's really seen for years: a custom-made, Star Wars-specific Toyota Celica. It had chrome exterior wheels, Luke and Vader on the hood, and an epic space-ship battle on the trim. And in 1977, it disappeared without a trace. The car was a prize in a nationwide sweepstakes back in 1977, when the original Star Wars movie was released. The images below come from the blog Speed Hero, which has carefully recreated the timeline of the missing whip, which looks like it could make pretty decent time on the Kessel Run. Weirdly, no one knows the origins of the sweepstakes, other than it came about after the movie was a big hit in the early summer of 1977. We do know that four companies were involved: 20th Century Fox, Molly Designs, Delphi Auto Designs, and Mardan-Kane Inc. Delphi had hired two people from Molly to paint the car, and 20th Century Fox studio subcontracted Mardan-Kane to actually run the sweepstakes out of its offices in Garden City, NJ. After the sweepstakes began, the car was delivered to 20th Century Fox (it's photographed on the set of Hello, Dolly, for some reason) and was delivered to the contest's winner, whose name was never made public, by January 1978, allegedly. Why allegedly? There was a lot of crime going on at Delphi, the auto design company. The owner was smuggling hash oil, one employee was kidnapped, and another, Steve Bovan, was murdered. The company went out of business shortly thereafter. It's entirely possible, one theory goes, that this Celica got caught up in one of those imbroglios, and the car was never delivered to any sweepstakes winner. It's also possible that the companies involved in the contest thought, retrospectively, that it would be best to not associate with drugs, kidnapping, and murder at Delphi, and put the contest and any publicizing for it on the back-burner. [S]ometime around the late 1980’s or early 1990’s I was reading my Monthly issue of Antique Toy World when my eye was drawn to a small black and white ad at the bottom of a page. There it was—the Star Wars Toyota—being offered up for sale by the original owner, who said it was in great shape. Here’s the killer: the asking price was just $1,000. I remember being transfixed and started thinking how I could possibly buy this primo piece of promo history. But for whatever reason, even for that "killer" price, Sansweet didn't buy the Celica. And that was the end of the trail—until earlier this year. According to Fox News, people are looking for the car. The network got in touch with Mardan-Kane, whose offices have relocated to New York, and learned that a man named Dean Shada is searching for the vehicle for "an interested party in the film business." This interested party is possibly George Lucas himself. Shada has worked with Mardan-Kane, and the company is looking through old tax records; Toyota is combing through archives to find the VIN, but so far to no avail. Complicating the search is the condition of the car, and those Star Wars-specific details. According to Shada, the Molly Design team may have skimped on materials, using bad clear coat that would have caused the airbrushing to fade quickly. It's entirely possible that the car is out there but now just looks like all the other 1977 Toyota Celicas on the road. Who knows if Shada will be the one to finally solve this mystery. The car, if it's out there, is likely worth tens of thousands of dollars. '77 Celicas in good condition aren't cheap, and the ads alone for the Star Wars Celica go for decent money on eBay. A mid-90s Star Wars Hummer (from a Taco Bell contest) sold for $75k in 2014. Have you seen this car? If so, a certain interested party would love to get in touch.